UNITED NATIONS – Exactly 50 years ago this month David Suissa left the sunny skies of Casablanca for the frozen streets of Montreal. A child at the time, Suissa didn’t know why he had to leave his home, nor did he know that he would become one of 850,000 Jewish refugees expelled from Arab lands between 1948 and 1970. “I didn’t know I was a refugee. I just remember you knew who the Sephardic refugee kids were in school. We all had the same black jackets and the same red hats,” said Suissa, the president of the Tribe Media Corp., and a journalist for The Jewish Journal, referring to the clothing donated by various Jewish groups. Suissa shared his family’s story Tuesday night in New York as part of a panel discussion at the United Nations dedicated to both setting the historical record straight and to seeking justice from Arab nations. 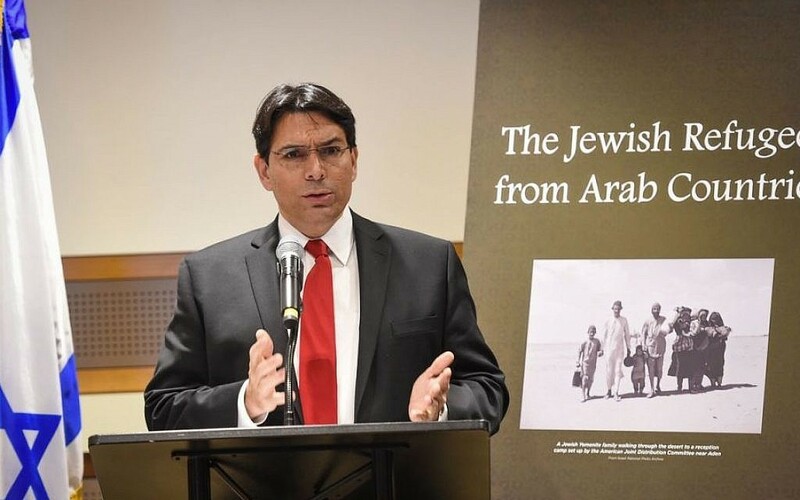 The Permanent Mission of Israel to the UN, the World Jewish Congress, the Conference of Presidents, and Justice to Jews from Arab Countries (JJAC), co-sponsored the event. While most of the world knows the story of Palestinian refugees, few know or recognize that Jews, with strong ties to their homelands, were forced to leave their homes in the Arab Middle East, Turkey, Iran and parts of Africa. For example, in Egypt, the government arrested and charged Jews with being part of Zionist or communist plots. Many had their property seized and the Jewish quarters of Cairo and Alexandria were burned. Most Jews left in 1948, and when the remaining Jewish population was expelled in 1956, they were not permitted to take or sell their property. Flourishing Jewish communities from across the Middle East dwindled and in many cases disappeared completely in the wake of the expulsions and emigration. Known collectively as Mizrahi Jews, the community has gained political power in recent years alongside increased recognition of its members’ refugee status and celebration of their cultures. Today, these Jews make up more than half of Israel’s population. “We are here tonight to ensure that the world finally recognizes the stories of these forgotten refugees. 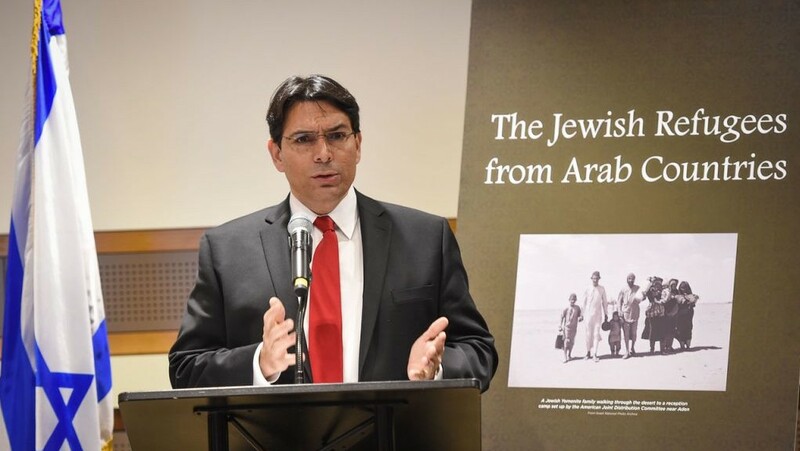 I will continue to work for the proper recognition of the Jewish refugees from the Arab countries here in the UN,” said Israel’s Ambassador to the United Nations Danny Danon, whose father came to Israel from Egypt as a refugee. Gila Gamliel, Israel’s Minister of Gender Equality was born to a Libyan father and a Yemini mother. They were among the nearly 150,000 Jewish refugees who found refuge in Israel. The other 750,000 refugees found safe haven in Canada, Great Britain, France and the United States. 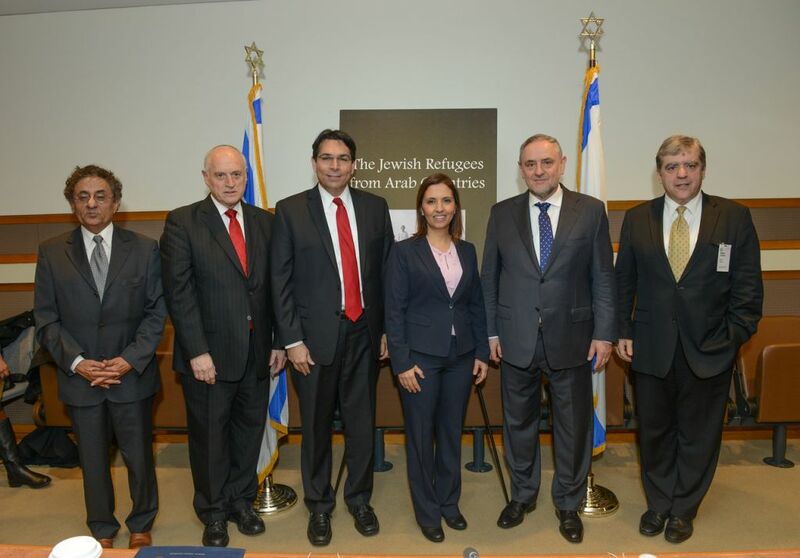 In her remarks Gamliel called on the UN to acknowledge these forgotten refugees. She also called out the international body on what she said was unfair treatment of Jewish refugees. Estimates put the number of Palestinian refugees from Israel’s 1948-49 War of Independence at between 650,000 and 700,000 people. 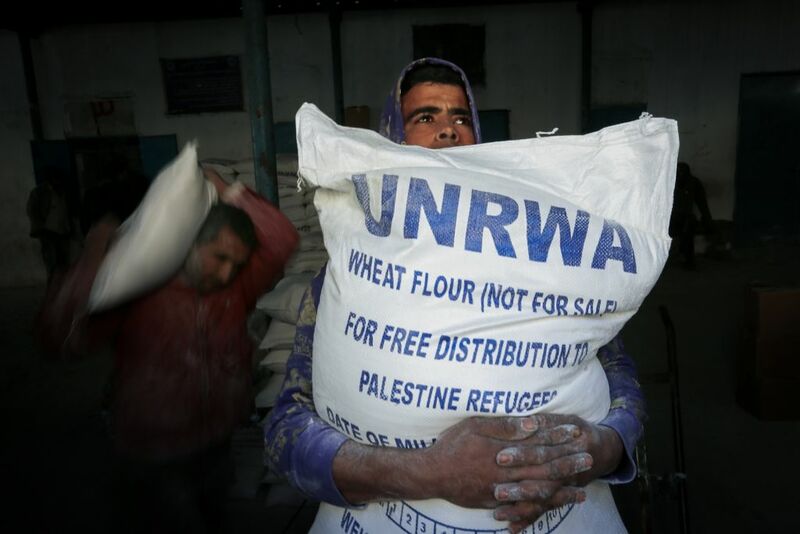 The Palestinian refugee problem has turned into an internationally recognized issue that is often seen as one of the core issues of the conflict. Israelis have pointed out the politicization of the issue, evidenced by Arab countries’ refusal to absorb the refugees and the international community’s perceived faulting of Israel for the Palestinian refugees’ continued plight. Suissa referred to the Jewish refugee problem as a “Jewish Nakba,” adopting the Arabic word for “disaster” which is also used by Palestinians in reference to Israel’s War of Independence and the Palestinian refugee issue. Journalist Ben-Dror Yemini, whose family fled from Yemen, spoke about the unprecedented absorption effort that Israel carried out in the 1950s when hundreds of thousands of the refugees flooded the young Jewish state. Malcolm Hoenlein, executive vice chairman of the Conference of Presidents, a North American Jewish umbrella group, emphasized the importance of continuing to speak about the Jewish exodus and expulsion from Arab lands. 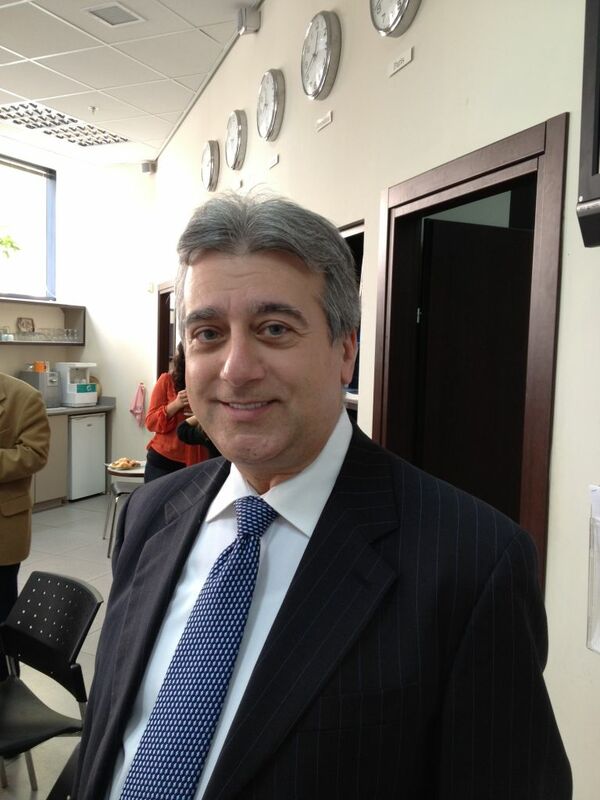 While he didn’t attend the UN event, Rabbi Elie Abadie of the Edmond J. Safra Synagogue, who is also president of Justice to Jews from Arab Countries, agreed remembrances are important, but more than that, he wants justice. He told The Times of Israel that Arab countries must be pressed to recognize they once had Jewish populations and that those populations were persecuted. He called on Arab countries to preserve tangible signs of Jewish heritage, including old cemeteries and synagogues. For example, King Mohammed VI of Morocco recently helped restore and rededicate a centuries-old Jewish burial plot on the island state of Cape Verde. Additionally, JJAC seeks remuneration. An estimated $350 billion of Jewish property was destroyed or seized during these years, Abadie said. To that end, the subject of Jews expelled from Arab lands is supposed to be part of any negotiations regarding establishing an international fund to compensate Palestinians who left Israel in 1948. For Abadie the subject is personal. Born in Lebanon, his parents had fled Aleppo, Syria in 1948. They were on the march again in 1971. 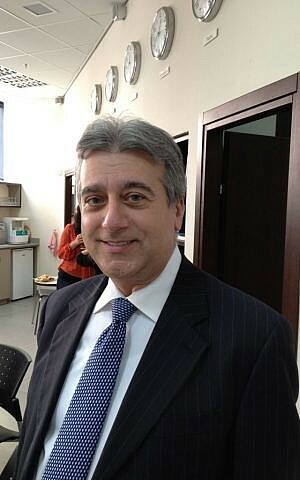 Lebanon had plunged into civil war and it wasn’t safe for Jews who were accused of being “Zionist agents for Israel,” Abadie said. “I had no passport, just a document printed with the words ‘laissez-passer.’ It was essentially a one-way ticket out of there. So we left for Mexico City. We left for the New World and a new life,” he said, adding that he immigrated to the United States in 1979. The commemoration comes just after Spain and Portugal passed laws allowing dual citizenship for those Jews who, during the Spanish Inquisition, were either forced to convert to Catholicism or leave under pain of death. Many fled to the Ottoman Empire, the Balkans, North Africa and Latin America. Just days ago King Felipe VI apologized to Sephardic Jews of Spanish decent for their treatment. This development interests Abadie since his family traces its roots to Spain.